A great speakers is only great when paired with a great amplifier. Rontek systems have been a manufacturer of amplifiers for a long time and have been able to manufacture world class amplifiers for all kinds of needs. With over 27 variations in the amplifier model, Rontek Systems has a solution for every kind of installation. 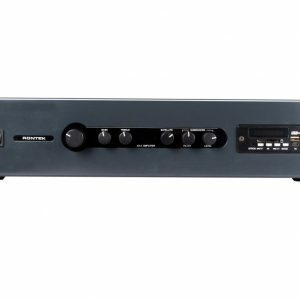 Rontek Systems have been perfecting the art of making Amplifiers for over 20 years now and each year has added a belt in the kind of amplifiers it can produce. Rontek Z series amplifiers are single zone amplifiers made to be cost efficient and at the same time not compromise on sound. The class D amplifier which is made for small setup’s and can handle up to 4 speakers. Also comes with inbuilt media Player which supports AUX, SD card, Pen drive, Bluetooth, and FM. Rontek MZ series amplifiers are high performance amplifiers made with class D technology for multiple zones. 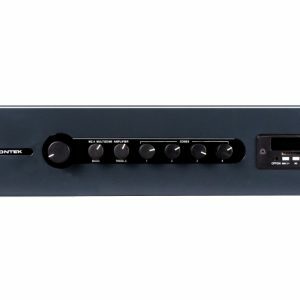 1 Amplifier can handle up to 4 zones and capable of connecting up to 8 speakers without LMT. Also comes with inbuilt media Player which supports AUX, SD card, Pen drive, Bluetooth and FM. Rontek AX series amplifiers are high performance amplifiers build with active crossovers for Sat Sub – Woofers. One can connect up to 4 speakers and 2 Sat Sub-woofers using this amplifier. Also comes with inbuilt media Player which supports AUX, SD card, Pen drive, Bluetooth and FM. Rontek AM series amplifiers are made with a view to provide constant voltage to speakers using LMT. These are power amplifiers used can connect upto 4 speakers and handle up to 2 different zones. Also comes with inbuilt media Player which supports AUX, SD card, Pen drive, Bluetooth and FM. Rontek XD series Amplifiers are multi channel power amplifiers with balanced inputs. 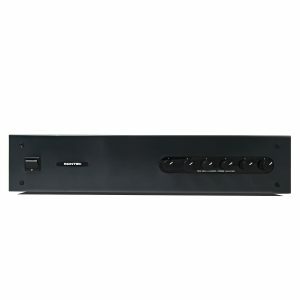 XD amplifiers can handle up to 6 channels at constant inputs. 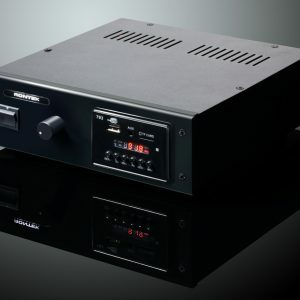 These amplifiers are power amplifiers and certain unit can handle up to 500watts. 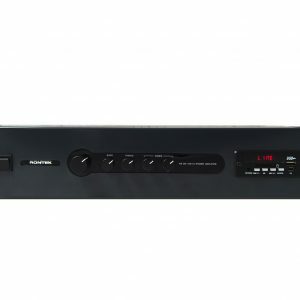 These amplifiers do not come with the inbuilt media player and hence can be used with our pre amps.